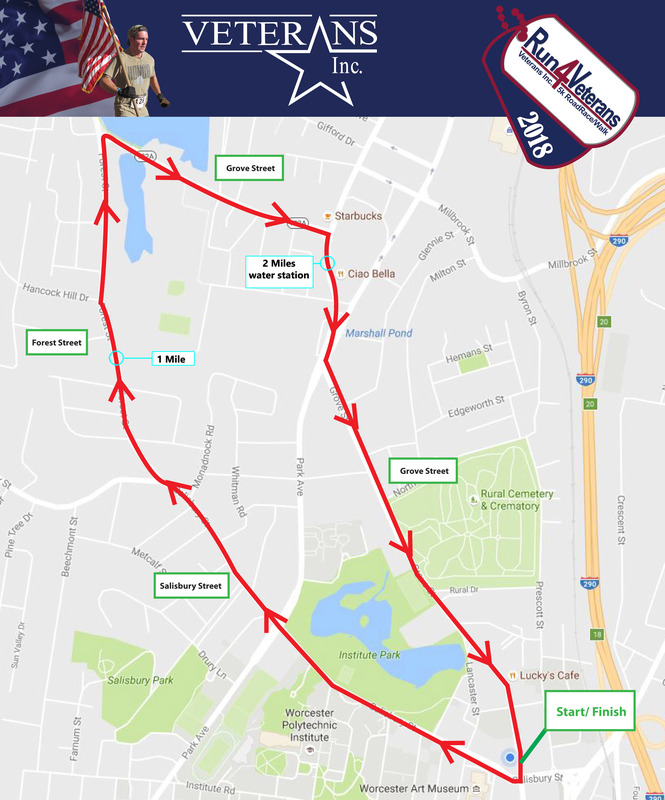 Run4Veterans 5k is a fun race which starts and ends at Veterans Inc. 69 Grove St in Worcester and includes a challenging incline (a mini Heartbreak Hill). All proceeds will support Veterans Inc. and benefit veterans in need and their family members. and the oldest veteran finisher. Number pick up will be at Sneakerama, 12 N Lake Ave Worcester MA, Friday between 5-7pm. You can also pick up your bib on race morning. I agree to release and forever indemnify and hold harmless Veterans Inc., the City of Worcester, and all Race directors from and against any liability for any injury or other loss sustained during this event. I agree to assume all responsibility to all risk of damage or injury to me or any items of personal property as a participant in this event. In consideration of being accepted as an entrant in this race, I hereby, for myself, my heirs, executors, and administrators, release and discharge any and all individuals and organizations associated with the race from all claims, damages, rights of action, present or future whether the same be known, anticipated or unanticipated, resulted from or arising out of, or incident to, my participation in this event. I certify that I will not participate in the Run4Veterans 5K Road Race & Walk unless I am physically fit and sufficiently trained for competition in this race. I also grant permission to use my name and/or picture in any broadcast, photographs, or other accounts of the race. I understand that bicycles, skateboards, rollerblades, animals, and baby joggers are not allowed in this race and will abide by this prohibition.